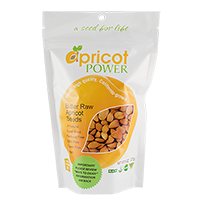 Q: How much B17 is in each apricot seed? 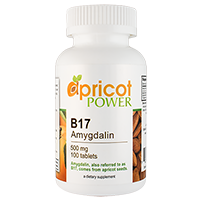 A: According to lab tests, approximately 20mg of B17 is found in each of our apricot seeds. A: Yes, however they should be spread out at least one hour apart from each other. If you notice any unwanted side effects like dizziness, head ache or upset stomach then you're consuming too much too fast. A: Up to two years in the refrigerator. To learn more about storing apricot seeds, read The Almost Complete Guide To Storing Apricot Seeds. Q: Isn't B17 illegal in the United States? A: Many of our customers do and have had no problems. Keep in mind your pet's body weight and adjust accordingly, and always check with your veterinarian. A: Yes, for more information click here, or call us at 1-866-468-7487 ext 2. A: We ship almost everywhere in the world. There are only a handful of countries we cannot ship to for legal/logistical reasons. Q: If I don't have a credit card how else can I pay? A: We accept checks and money orders as well as Paypal--simply choose the appropriate option at checkout. Mail your check or money order to Apricot Power, P.O Box 745, Lakeport, CA 95453.